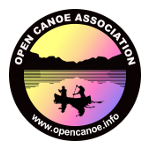 We recently sent out our very first mailing from our all-new Open Canoe Association website – launched just in time for our forthcoming Canoefest 2015 Rally and AGM! Please click here for the formal invitation to our Annual General Meeting, which will be a Dolben Hall (St Asaph) from 8:30pm on Sunday 3rd May. Click here for the minutes of last year’s meeting, and here for minuntes of our recent EGM. Then head to the Booking Form for Canoefest 2015!